Are you searching for Infiniti service near New London and Wilmot? Look no further than the auto mechanics at Walker Automotive. Because of our commitment to top-quality auto repair, along with honest communication, we are honored to be the premier choice for Infiniti owners throughout New London and Wilmot. At Walker Automotive, we want to keep your Infiniti running safely and smoothly on the New London and Wilmot streets for years to come. When you bring your vehicle to our auto repair shop for Infiniti service, our auto mechanics will comprehensively examine your car, leaving no stone unturned, so to speak. 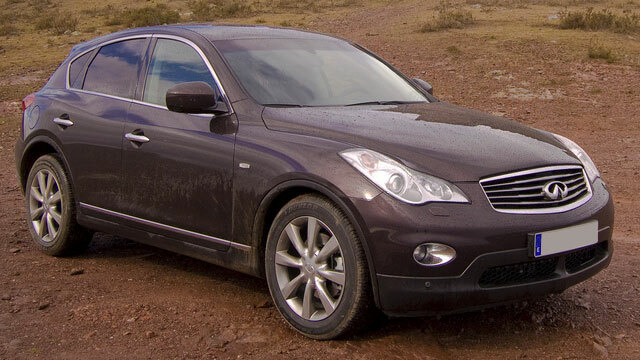 We will develop a maintenance plan, designed to secure the safety and longevity of your Infiniti. From preventative maintenance to a complex brake repair, trust Walker Automotive to handle any and all auto repair. It’s all about transparency here, as we are upfront and honest each step of the way. For a facility convenient to both New London and Wilmot that goes the extra mile to repair and maintain your vehicle, you are in the right place. Schedule an appointment for Infiniti service. Walker Automotive is located at 3 Deerwood Dr., Wilmot, NH 03287.